A while back, a reader left a comment asking if I had a peanut butter cup smoothie recipe. I did a little research, but really couldn’t find one that spoke to me, so I came up with my own. When I think of peanut butter cups, I think of the chocolate shell that surrounds them. They’re sweet, but also slightly salty, and that’s what I’ve tried to replicate here. 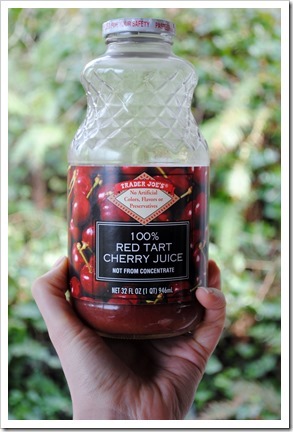 Have you ever tried tart cherry juice? If you haven’t, well then, run right out and get some! Okay, maybe that’s a little impulsive. Perhaps don’t run right out, but, next time you’re at the store, consider picking up a bottle. 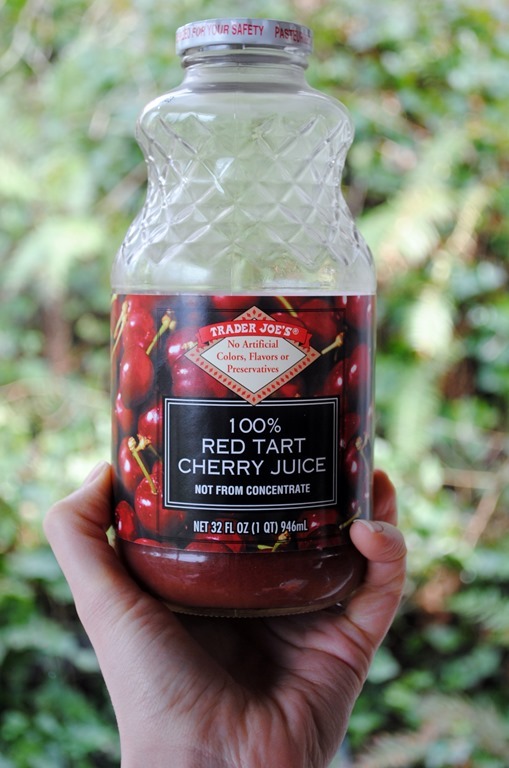 Make sure it’s 100% tart cherry juice, without any added sugar or other ingredients. Tart cherries are an anti-inflammatory food, and, the juice can be used in quite a few different ways. 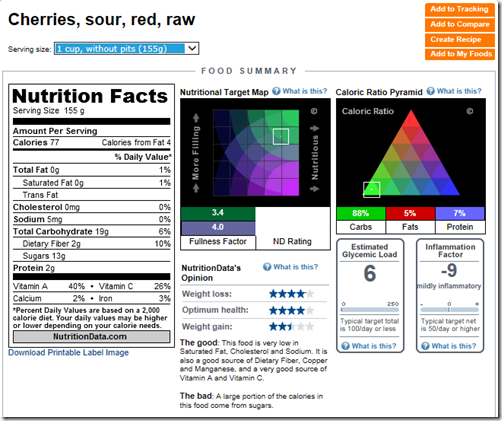 Here is the nutrition data on the actual fruit – its juice is a bit higher in sugar since the fiber is stripped out. When it comes to day-to-day use, I mostly use the juice in a homemade spritzer consisting of about 1/2 cup juice to 1.5 cups sparkling water. 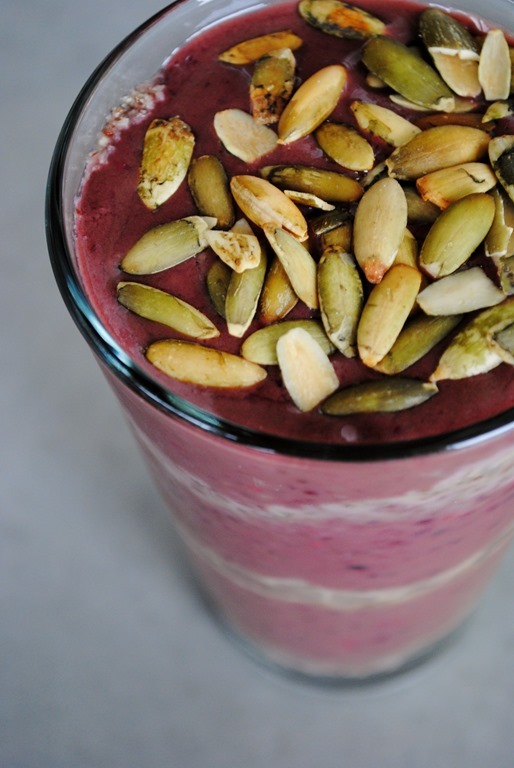 However, I made up this smoothie for breakfast one day, and it reminds me so much of cherry pie that I had to share. 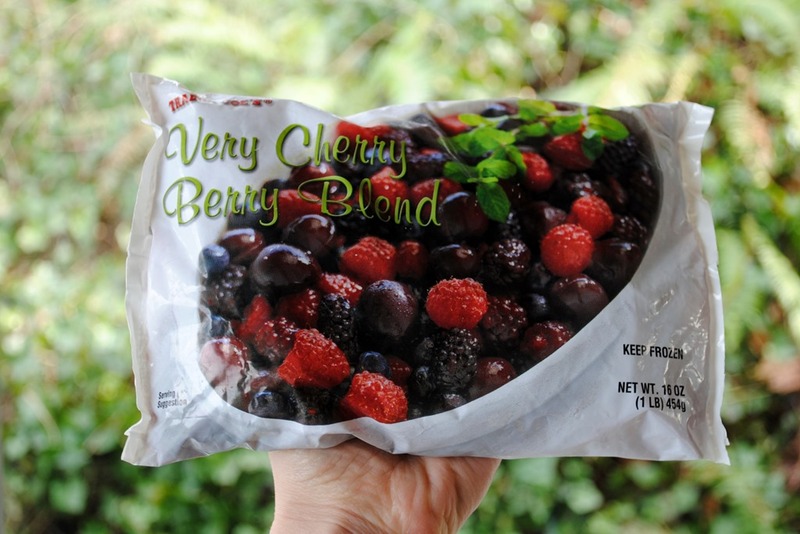 I used a mixed berry blend for this, but if you can find only frozen cherries, that would be ideal. 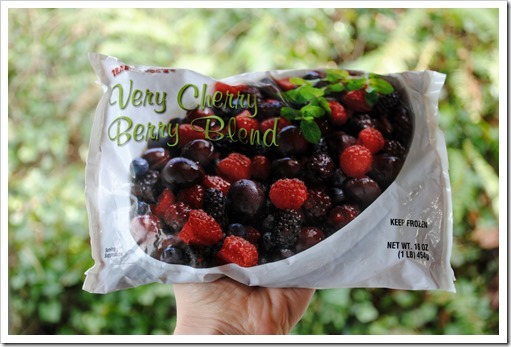 If you go with this blend, I recommend picking out the blackberries – even the Ninja cannot grind up their seeds. 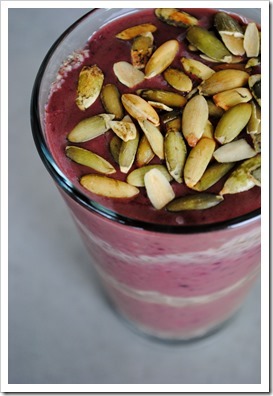 Sprinkle with pumpkin seeds, chia seeds, hemp seeds, or other preferred seed for an added nutritional boost! If you taste it and it’s just a bit too tart for your taste, add a bit of natural sweetener to your taste – a few drops of liquid Stevia, a bit of honey, or pure maple syrup. Using 1/4 avocado, 1 scoop Jarrow Optimal Plant Protein powder, and 2 tablespoons almond meal.